Bridal Cave was named after a Native American legend which was detailed in the book "Indian Romances" published by Colonel R.G. Scott. Colonel Scott was once the owner of 5,400 acres of land in the lake area, including parts of what is now Ha Ha Tonka State Park, Bridal Cave, and Thunder Mountain Park. 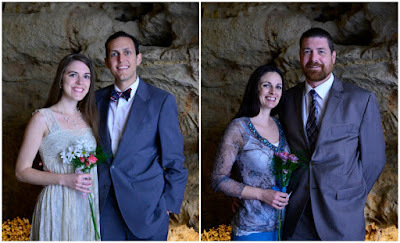 As always, our FREE Wedding Vow Renewals at Bridal Cave & Thunder Mountain Park were enjoyed by many happy couples. Every year this event is so very well received, you can bet it will be happening again and again for many years to come! Just in case you didn't have a chance to make it to our unique wedding chapel at the Lake of the Ozarks this past weekend, we've got a few of the highlights for you in today's blog. Last Sunday, February 12, 2107, we helped 222 couples renew their wedding vows for an early celebration of Valentine's Day. Five different states were represented this year, including Missouri, Illinois, Iowa, Kansas, and Tennessee. One of the couples that joined us were able to renew their vows on the 50th anniversary of their honeymoon at the Lake of the Ozarks. They even showed up with some old postcards and brochures from their visit as newlyweds. Just in time for Valentine's Day, we are hosting our annual vow renewal ceremony on Sunday, February 12th, 2017. To celebrate a special day with your love, plan to attend our most anticipated annual event at the Lake of the Ozarks! Since there are a TON of great reasons to renew your vows, take advantage of our FREE vow renewals! No matter how long you have been married, you may need to recreate the spark that brought you together in the first place. A wedding is such an emotional and lovely occasion, and the perfect way to rekindle the flame between husband and wife! A milestone anniversary is a BIG DEAL! 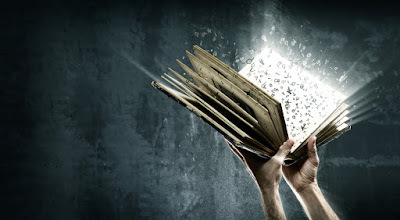 It does not matter if it is five years or fifty, it is important to honor your years of marriage. 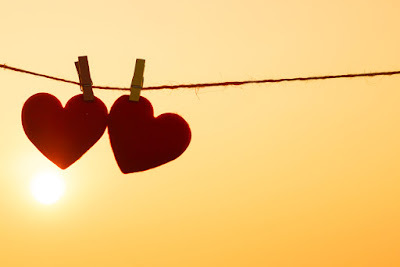 If you are reaching a major anniversary, celebrate your love for one another with a vow renewal! 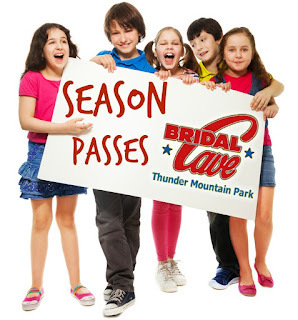 BRAND NEW - Season Passes For Bridal Cave! One trip through our scenic Lake of the Ozarks attraction simply isn't enough! 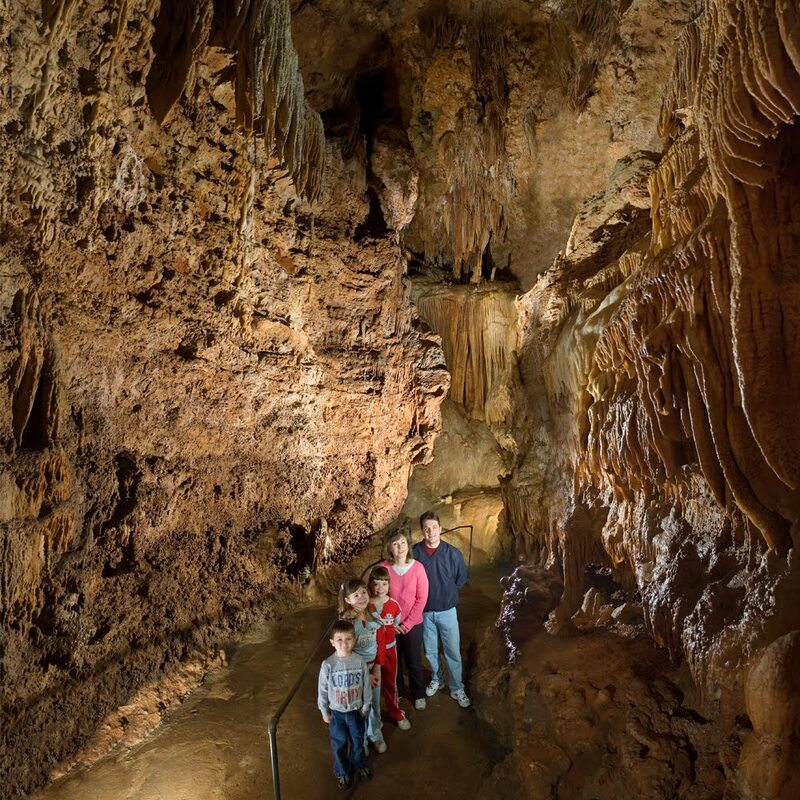 Visitors are always asking us if they can purchase a season pass to Bridal Cave so that they can come back throughout the year. We love making people happy, so season passes are now available! A tour of Bridal Cave currently costs $18 for adults, $9 for ages 5-12, and children ages 4 and under may enter for free. If you have an amazing time and want to come back for more, turning your entry ticket into a season pass is easy and extremely inexpensive. For only $5, you can upgrade your one-time admission ticket into a season pass that will allow you to come back as many times as you like for an entire year! These season passes are good for one year from the date of purchase, and the number of tours you may take within that year are unlimited. They are not transferable, and we will ask for a photo ID when you use it.